Have managed to get around WordPress defaulting to their silly ‘bingledy beep boop’ whatever post editor by ducking out to the main WP admin page and launching the post editor from the sidebar. Bit of a pain, but at least I’m now back in the driving seat. Unlike the presenters of Top Gear. May has quit. He, Clarkson, Hammond and the shows old producer who also quit, Andy Wilman, have been meeting up, possibly to discuss creating a whole new car show. They won’t be able to call their new show Top Gear of course, but there are a bunch of digital channels that will happily fork out part of their budget, and sponsorship can fund the rest. It’s as good a workaround as any. As for marketing and distribution; globally there’s a host of avid ex-Top Gear fans who will gobble up the content as soon as it’s uploaded, sidestepping any attempts at restriction. 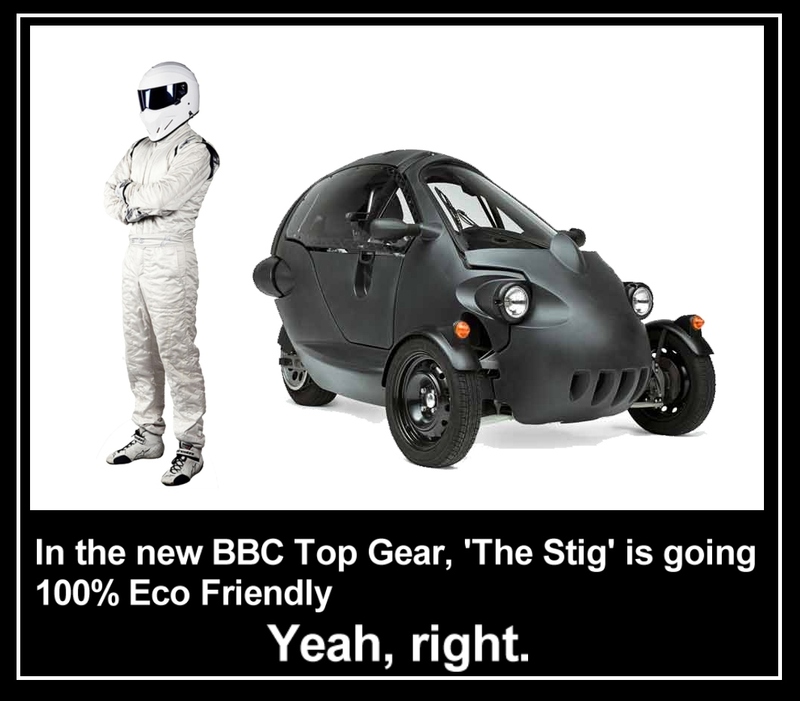 The advertisers and sponsors who get on board with any new show hosted by the three goofs will make a mint, while any BBC relaunched Top Gear will sink slowly into the self imposed mire of BBC politically correct green lunacy, rarely to be seen again as they try to impose Hybrid solar self driven cars with backup wind turbines on the market. Unless the Beeb by some miracle rediscovers the personality magic that made Clarkson, Hammond and May work so well. Breath will not be held waiting for that to happen. So the blokey car show is not dead, It will come back under another name simply because the audience is there. Despite the wishes of the politically active but personally inept. Life’s like that. As a side note; the law of unintended consequences was last seen gleefully prancing in through the back door of the BBC TV centre, up the back stairs and out through an emergency exit with a whole tranche of future BBC revenue.